It's the art of recording. Just a small example, you can imagine an audio message with only one voice during the whole section. That is not a very creative way to produce what we call art. On the other hand, a colorful record with different voices and various background effects is absolutely more amazing. With GoldWave, you can record anything from different sources and edit your own audio project. However, let's shake things up a bit. 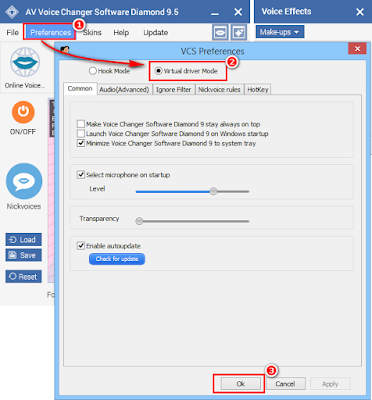 Instead of a plain voice record, why not make it a true work of art with AV Voice Changer Software Diamond 9.5 (VCSD 9.5)? 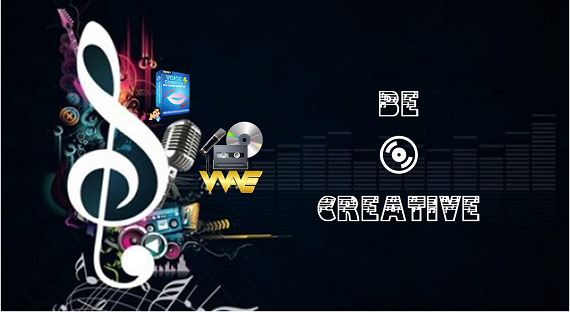 You will be surprised how easy it is to create a beautiful audio file with just 4 simple steps. - Click OK (3) to apply new settings and close the Preferences window. - Choose Options menu >> select Control Properties (or press F11) to open Control Properties dialog box. - Click OK (3) to apply settings and close the Control Properties dialog box. 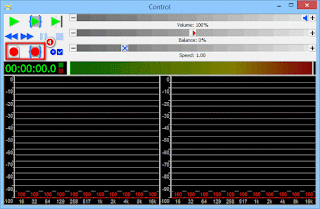 - Go back to AV Voice Changer Software Diamond 9.5 main panel, choose the morphing effects and make adjustments until your are satisfied with your vocal output. There are several ways to change your voice, including voice morphing and audio effects. - Put fire to your audio record by using different ready-to-use Nickvoices, visit and download freely at Add-on store as well as making your own unique voice presets and background effects. 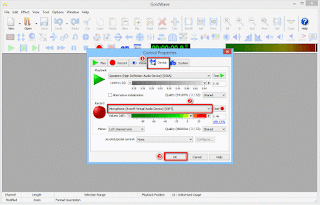 - In GoldWave, click Record button (4) or press Ctrl+F9 on Control dialog box to start recording. And now, let's here your audio record again and feel the beautiful magic. You will be enchanted with every second of your own product - your own true art. 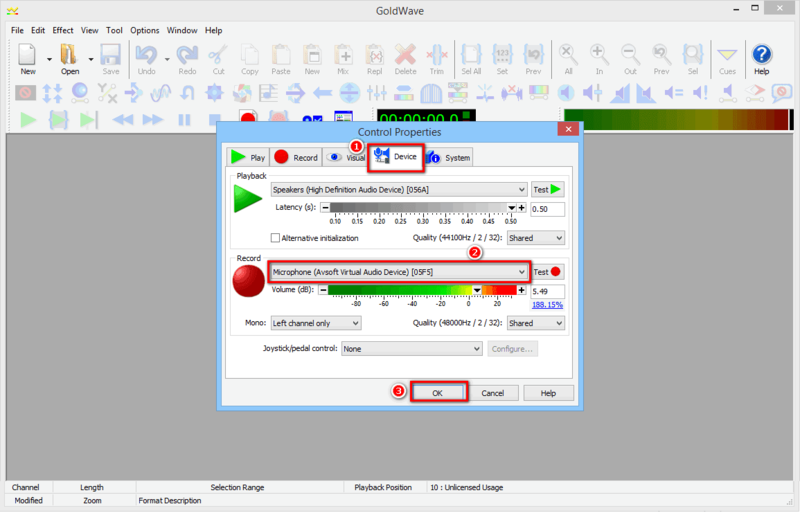 Note: While VCSD Virtual Audio Driver is being set as the audio driver for GoldWave, do NOT turn off VCSD 9.5 while using voice chat with GoldWave. If you don't want to use VCSD 9.5, change the audio settings of GoldWave back to normal audio source.